Latest Holiday Items Deals. Halloween Store. Incredible selection of Halloween Costumes, Halloween Decorations and more! Clean-up after the holidays can turn anyone into the Grinch, but when you have a convenient storage option, taking down the decorations becomes a joy. 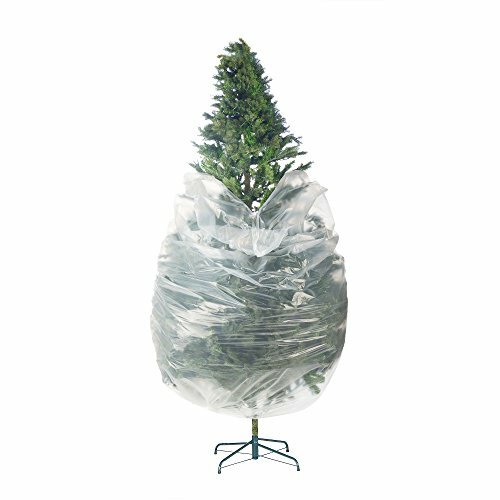 With our Premium Extra Large Christmas Artificial Tree Holiday Storage Bag you can store your 7.5 foot artificial tree and larger trees when they can be broken into sections. The roomy, zippered bag is 48 inches long by 15 inches wide by 20 inches high. You can even slip in the garland and lights so everything is in one place next holiday season. Store it all away for next year by slipping the tree into the bag and zipping it up to store it. Our extra-large, heavy-duty tarp material is designed to be strong, durable, and tear-resistant. It protects a Christmas tree against dust, insects, and moisture so it can last for many years. There are also two heavy-duty reinforced handles on each side for carrying and another loop for pulling it out of storage spaces. 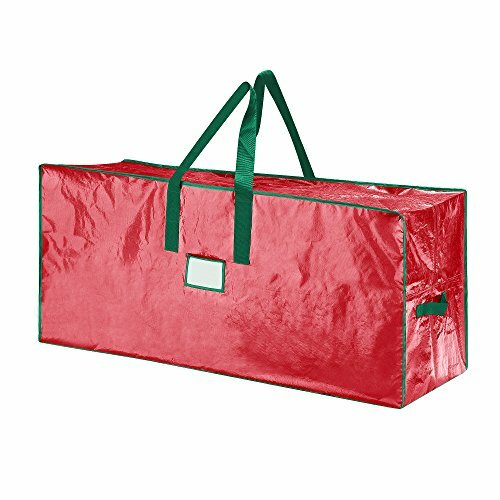 In keeping with the holiday spirit, the bag material is a cheerful red, and the handles are green, so there's no mistaking what's stored inside for next year. You can also use it to store wrapping paper and other holiday items! Clean-up after the holidays can turn anyone into the Grinch, but when you have a convenient storage option, taking down the decorations becomes a joy. 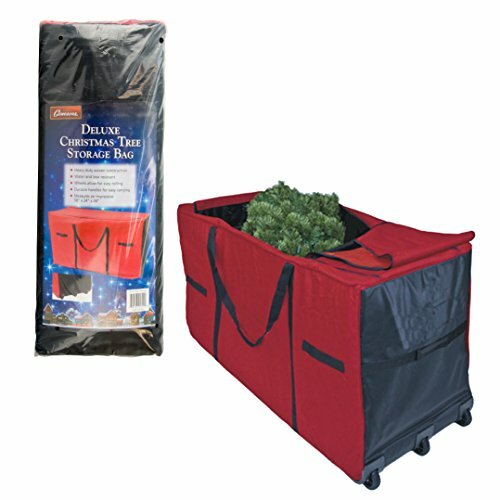 With our Premium Extra Large Christmas Artificial Tree Holiday Storage Bag you can store your 9-foot artificial tree and larger trees when they can be broken into sections. 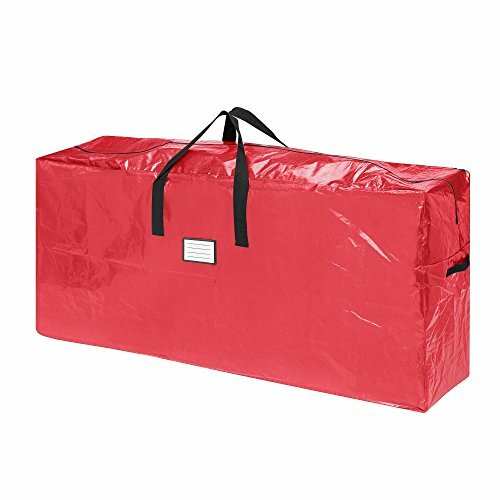 The roomy, zippered bag is 65 inches long by 15 inches wide by 30 inches high. You can even slip in the garland and lights so everything is in one place next holiday season. Store it all away for next year by slipping the tree into the bag and zipping it up to store it. Our extra-large, heavy-duty tarp material is designed to be strong, durable, and tear-resistant. It protects a Christmas tree against dust, insects, and moisture so it can last for many years. There are also two heavy-duty reinforced handles on each side for carrying and another loop for pulling it out of storage spaces. In keeping with the holiday spirit, the bag material is a cheerful red, and the handles are green, so there's no mistaking what's stored inside for next year. You can also use it to store wrapping paper and other holiday items! 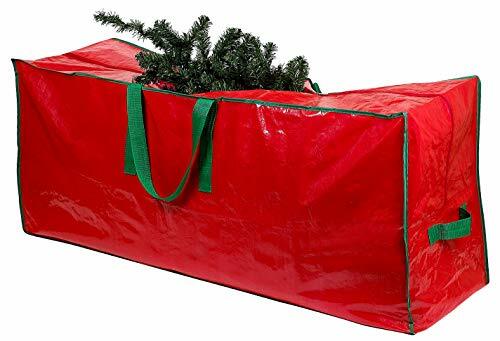 Christmas Tree Deluxe Holiday Storage Bag By Camerons: Every year after the holidays are over it's the same story. Take down the Christmas tree and try to stuff it back into its original tattered box. Or worse put the all tree parts in some corner in your storage area hoping it will be safe until next year. No longer is that a problem with Camerons' Deluxe Christmas Tree storage bag. This bag will keep your tree safe every year with its heavy woven construction. It keeps water, dust, pests, and even the Grinch out. 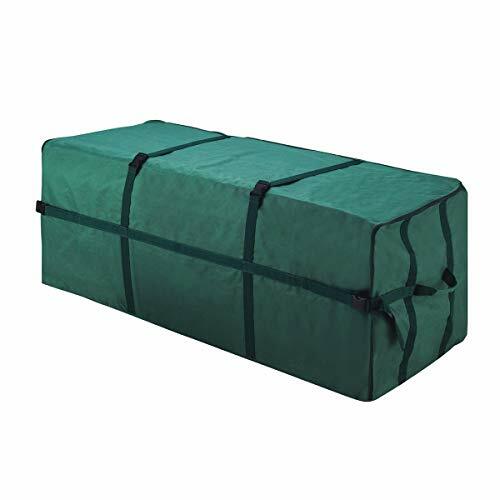 Your tree will be easier to transport since this bag has wheels making it much better then carrying or dragging a whole tree around. 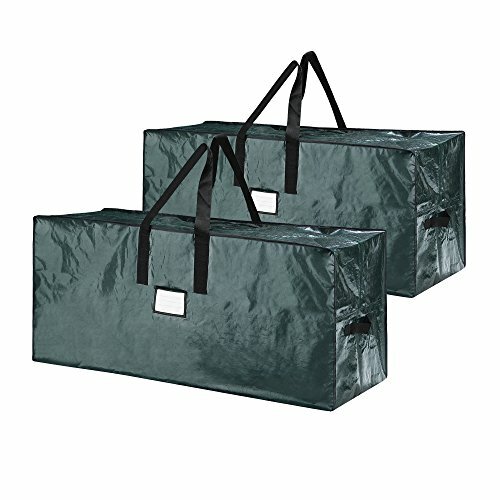 The bag has durable handles to allow you to carry it up stairs or even lift into an attic. It measures an impressive 58" X 24" x 34" allowing even the most spirited of trees to fit. GIANT MYSTERY SURPRISE BOX FULL OF AMERICAN GIRL HOLIDAY ITEMS!